Social media is becoming a big part of our lives. It gradually changed from being a place for communication to a platform for different services. And so we got interested in Unboxed activities who works with such platform daily. So what is ‘’Unboxed’’? How does it work? Unboxed is a platform for brands that want quick, reliable and effective solutions for their influencer marketing campaigns. Influencer marketing campaigns can easily become expensive and labor intensive, especially when working with micro-influencers. Nevertheless, it is clear that micro-influencers are the way to go: there are currently around 34 million users on Instagram with 1,000 to 10,000 followers, and these influencers are more trusted than celebrities (or macro-influencers) because they tend to have closer relationships with their audience. And this trust yields higher results. The problem is that managing tens or hundreds of micro-influencers for a single campaign can be a bit of a headache, to put it mildly. You need to find the right influencers, negotiate deals, and manage relationships. Naturally, this not only limits the number of people included in the campaign but campaign effectiveness as well. Unboxed came up with a solution that will not only allow us to replace this small pool of influencers with millions of everyday social media users; it will also transform the campaign management process completely, enabling thousands of influencer marketing campaigns to happen simultaneously in a decentralized manner. Quick-to-launch campaigns. It only takes seconds to launch a campaign. Just fill in your campaign details and you’re ready to go. Crowd-based decision making. Instead of a single campaign manager, decisions on the Unboxed Network are made by a group of anonymous, independent decision makers. And these decision-makers are incentivized to be quick, trustworthy and in consensus when it comes to making the right decision. Unlimited potential. We’re able to include nearly every social media user in our influencer marketing campaigns, regardless of their follower count. Pay for results. Unboxed is based on a freemium business model, allowing brands to pay for quality engagements only. Transparency. We emphasize trust and transparency among Unboxed users, eliminating fake followers and promoting honest interactions. We’ve been working with influencers for several years now, and have delivered campaigns in 9 countries, including the Baltic states, Norway, the UK, the US, and Canada. We’ve developed close relationships with micro-influencers, agencies, and brands. However, we couldn’t help but notice that there were inefficiencies at the heart of the traditional influencer marketing process. We identified three key areas that were most problematic and designed our solution to overcome these issues. By introducing a decentralized network of Blockchain Oracles, we are eliminating centralized campaign management. By introducing a freemium business model which allows brands to use the network free of charge and only pay for results, these brands will now only pay for quality engagements. By introducing instant, borderless and cost-efficient transactions using Blockchain and the Unboxed Token, everyone can now get paid to post. And that’s not only the initial influencer but anyone who comments on and shares their post. What’s more, by further developing our platform, we aim to improve influencer marketing by reinventing the process itself. Unboxed was started in 2017. At that time, influencer marketing in Lithuania was taking its first baby steps. Our biggest challenge was educating both social media users and businesses on the mutual benefits their collaborations would bring. Primarily we’re targeting active social media users who use social networking platforms daily. Research shows that these are men and women between the ages of 25-34. That said, it’s important to mention that everyone outside these brackets is also of interest, especially considering the nature of social media and the wide spectrum of its current and potential users. Additionally, we aim to reach businesses that want to take advantage of the benefits this constantly evolving industry has to offer. When you consider that micro-influencer marketing is proven to be 5 times more engaging, and generates 11 times more ROI than traditional marketing, these benefits pretty much sell themselves. Right now, we’re focusing on the European and Asian markets, and users based in these areas. However, the rapid expansion of the influencer marketing industry, alongside the increased presence of social media in our everyday lives, has galvanized our ambitions to explore further global expansion in the near future. Also, with blockchain technology enabling borderless micro-transactions, our product becomes even more appealing to social media users worldwide. Influencer marketing is a high touch process that is hard to scale globally. Introducing a solution that is driven by incentivizing the social media crowd is a challenge on its own because it’s an entirely different concept for how influencer campaigns can be conducted. Tapping into a network of millions of micro-influencers to perform tasks on their smartphones has presented us with a lot of technical questions which we are working on. For example, how do you eliminate fraud, or ensure only the most relevant influencers are matched with branded products. Then there are questions like protecting the brand’s safety and scaling campaigns successfully. We are privileged to not only have a team of industry experts as our advisors but to have the support of the SOSV community as well – this helps us face the challenges head-on and ensures we deliver the best result possible. 2018 is proving to be a pivotal year for Unboxed. Since the beginning of the year, we’ve been preparing for the Unboxed Token sale, during which we aim to raise funds to further develop the platform. Moreover, we’ve recently been accepted into one of the world’s most prestigious accelerator programs – MOX, which is run by SOSV. SOSV is a venture fund with $300 million assets under management that invests through seven accelerators in startups from around the world. It is one of the most selective accelerators in the world, with a less than 5% acceptance rate. Having been accepted onto it, Unboxed is eligible for substantial benefits: intensive, long-term training, access to their investment partners’ network and expertise, specialized on-site support from industry experts, over 800 global mentors, and introductions to corporate partnerships and alumni of over 1,500 founders around the globe. And that’s not to mention access to 160 million mobile users. Unboxed founder and CEO – Tadas Deksnys. Tadas started his professional career at 17 y.o and sold his first venture at 18. Created a social network for pet owners and built a marketplace on top of it, became a category leader and sold the company in 2014. Tadas has already participated in an accelerator program, The Alchemist, raising funds from 12 investors. Unboxed is the third company he has founded, with the most ambitious plans yet. Unboxed CBDO – Donatas Smailys. Before joining Unboxed, Donatas was the CEO of the startup incubator backed by the biggest tech university in Lithuania, he also established and is now an executive manager of Lithuanian Startups Association. Experienced public speaker and Organizer of TEDxKaunas. Unboxed CMO – Dovydas Reinikevičius. 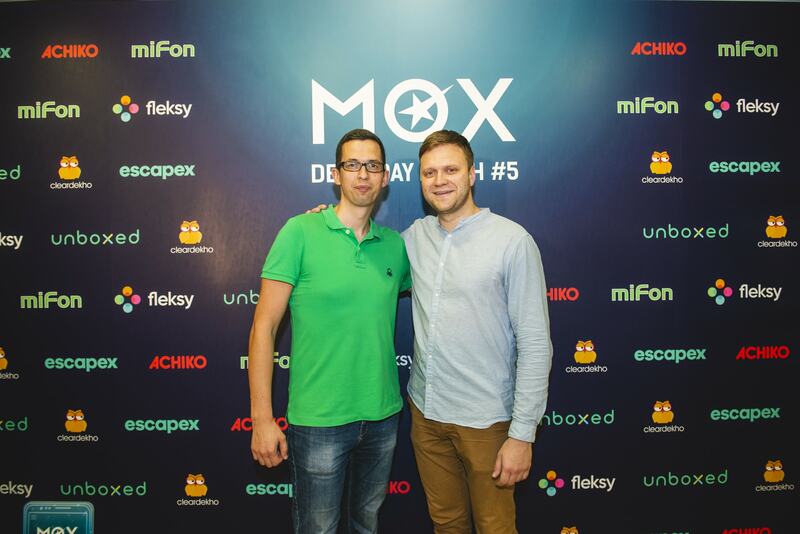 Dovydas, who started his career being just 12 years old, currently is the Founder and CEO of digital marketing agency BeeMarketing, working with top brands in the region and globally. 8 years’ experience in digital marketing and counting. Unboxed CTO – Vytenis Narušis. Graduated in Software Engineering from Kaunas University of Technology within the top 1%. Worked at the international software development company Devbridge Group. Developed software for multinational multi-million revenue, organizations like Chicago Mercantile Exchange, Louis Dreyfus, Morningstar. As we mentioned, at the beginning our challenge was to educate our local businesses about the benefits of influencer marketing. And this has been successful, with the result that today we operate in 10 markets and have worked with more than 100 brands (many of which are using our services continuously). We have conducted more than 450 campaigns, and we are very pleased that our average campaign engagement rate is 6.8%. We believe that these numbers are something to be proud of. Moreover, we’re convinced that they will continue to impress as we implement our ideas for the further development of the influencer marketing industry. Our ambitions are big – we aim to revolutionize influencer marketing. How will we achieve this? By making significant changes to the technology and processes used in our industry. And even by changing the mindset of social media users. Even though the influencer marketing industry is growing by nearly 100% every year, we believe this is just the beginning. The influencer marketing industry is bound to mature and evolve over time and become broader than just sponsored posts on social media. We, at Unboxed, are determined to be the first in line when those inevitable changes come. More than that, we want to play a decisive role in making those changes happen.